An allograft refers to a bone or soft tissue transplanted from a person to another. Normally, allografts, also known as donor tissues, are more preferable than autografts (a person’s own tissue) for various reasons. Allografts are helpful in assisting patients to regain mobility, reinstate function so that they can enjoy better life. Allografts tend to retain vital biologic and biomechanical characteristics which enable not only quicker but also greater healing. The Anterior cruciate ligament, which is abbreviated as ACL, is the smallest but the most important of the four knee ligaments that stabilize the leg when a person twists the body. It runs diagonally through the inside of the knee and is crucial in giving stability to the knee joint. It is also helpful in controlling the lower leg’s back-and-forth movement. Injuries to the ACL can arise in a few circumstances as well as sports and can be severe. Surgery may thus become a must. Torn ACLs are a common knee injury and statistics show that more than 200,000 injuries occur each year in the U.S with nearly 100,000 ACL repair surgeries being performed every year. An ACL tear or sprain happens the moment there is a sudden change in direction or when pivot occurs on a locked knee. The most common symptoms of an ACL tear are a pop, followed by pain and swelling. Women are said to be more prone to tear their ACL owing to their differences in anatomy as well as muscle function. ACL tear treatment focuses on returning the patient to his or her pre-injury level of function. 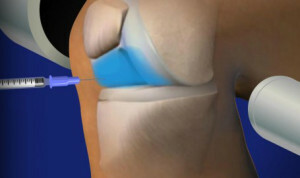 Arthroscopic surgery is usually performed to reconstruct the torn ligament. 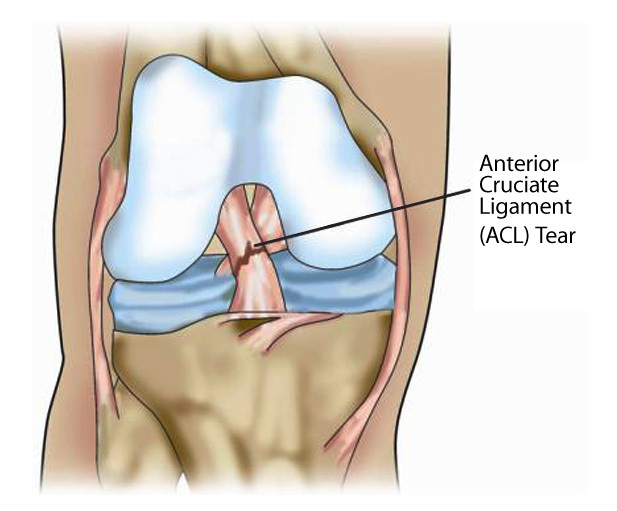 A patient can take between 6 to 9 months to return to normal activity following an ACL injury. 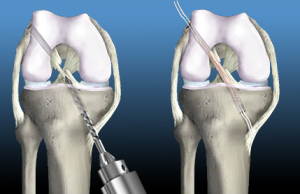 If you tear the ACL in your knee, you may have to undergo reconstructive surgery. It is difficult to repair a torn ACL by stitching it back together. However, ACL reconstruction can be done by attaching new tissue (an allograft) onto it. The remainder of the torn ligament is removed and replaced with a tendon from the patellar or hamstring tendon. Platelet-rich plasma, which is abbreviated as PRP, is blood plasma that has been supplemented with platelets. It consists of a number of growth elements as well as other cytokines that stimulates healing of bone and soft tissue. It is a concentrated source of autologous platelets and normally releases them through degranulation. Platelets regulate healing and tissue regeneration in the body. They are also responsible for blood clotting in order to prevent too much bleeding. PRP preparations have been used as remedies in several medical fields ranging from implantology to vascular ulcers. There is more recent development and encouraging results in the fields of sports medicine as well as arthroscopy. 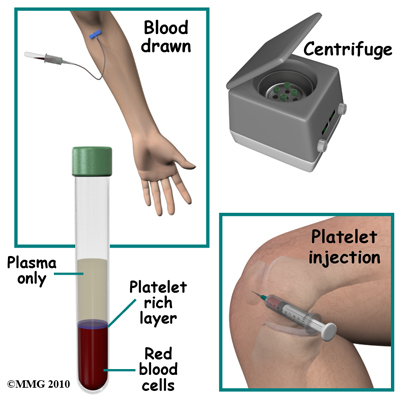 Certain applications may be contained in PRP which will speed recovery in cases of muscle, tendon, ligament and cartilage disorders. Apart from improved allograft integration, ACL reconstruction has exhibited improved autograft maturation, better donor site morbidity and pain management. Patients may undergo faster and more intensive rehabilitation programs and resume sporting quicker via acceleration of the biological integration of the graft using PRP. For sports medicine and doctors, the advent of PRP, with its autogeneous nature, the ease with which it can be prepared and its superb safety profile has opened an additional therapeutic door. In future the focus will be on improving the results of arthroscopic together with related surgery. Also, defining right prescription, timing and best techniques PRP use. If you have been told that you sustained an ACL tear or are interested in finding out more about PRP, contact our sports medicine specialists at Orthopedic Surgery San Diego today. Our specialists strive to offer you the best surgical and nonsurgical options.